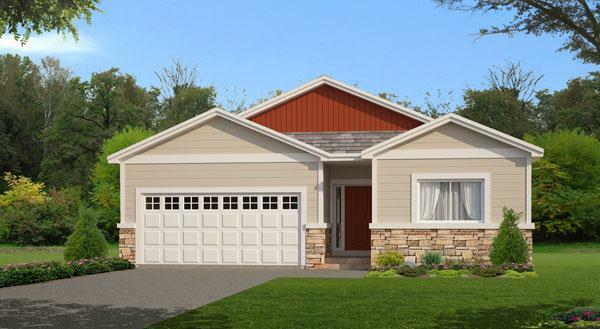 If you are looking for a new home in Windsor, Colorado, look no further than Hidden Valley in Severance by Horizon View Homes. Serviced by the award winning Windsor School District, homes are conveniently within walking distance of Severance Middle School. With a thriving business district, incredible recreational opportunities, five city parks, and plenty of community events, Severance is a quaint Colorado town that offers something for everyone. An intimate enclave of homes nestled on the border of Severance and Windsor, Hidden Valley is located in the heart of Northern Colorado. With five community parks, Severance is only 10 miles east of Fort Collins, 7 miles east of Windsor, and 35 miles south of Cheyenne. Offering small town charm, Severance is located with easy access to all the larger cities and I-25. Sitting at the foot of the Rocky Mountains, Severance is located only 5 minutes from Lake Windsor, 15 minutes from Fort Collins and 50 minutes from Denver. The Rocky Mountains and Estes Park is only a 45 minute drive away. Severance is only 10 miles east of Fort Collins. Severance is located only 5 minutes from Lake Windsor. The Rocky Mountains and Estes Park is only a 45 minute drive away.